If you want to take a quick break from your motherly duties and experience life as an easygoing yet still very active mother, then you need to transform into the best pig-mommy of them all... Mummy Pig. She's Peppa and George Pig's proud mum and when she's not doting on her piglets, she’s preparing meals for her family and staying in shape by working out to Mr. Potato's Fitness Show. Like we said, she's a very busy mommy! If you want to take a little break from being a super-mom and experience life as devoted Mummy Pig, then this is the costume for you. The dress has contrasting long sleeves while the velour leggings complete the look. The soft-sculpted character headpiece attaches under the chin and complete your transformation into Mummy Pig. 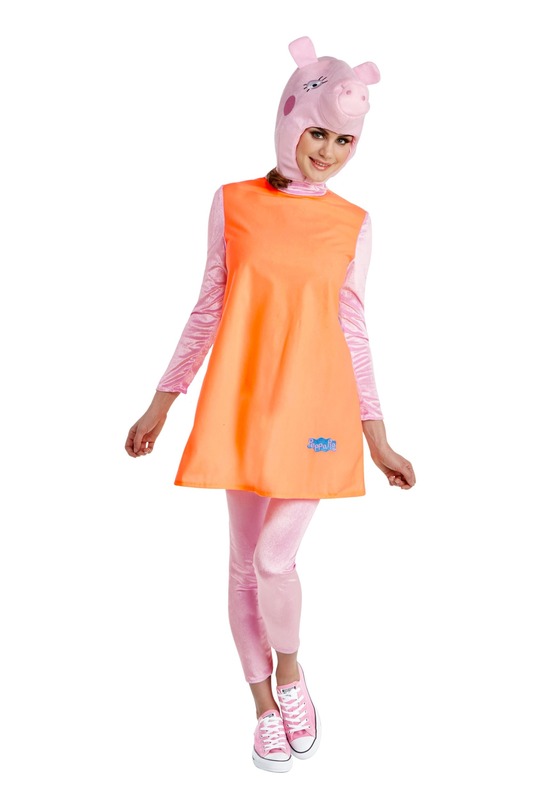 This costume is perfect for complementing your daughter's Peppa Pig costume, or it's also great to wear before a mud bath, too! Cute, runs a bit smaller than the size on package.